SAN FRANCISCO, April 5, 2013 – Farella Braun + Martel has appointed Partner William P. Keane to chair its Complex Litigation Department. Keane will oversee the firm’s Business Litigation, Employment and White Collar Crime and Internal Corporate Investigations practice areas. “We are very pleased to have Bill lead the Complex Litigation Department. 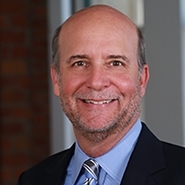 He is a talented partner, who is recognized both within the firm and in the legal community for his outstanding trial skills, excellent client service and strong leadership qualities,” said firm chairman Steve Lowenthal. Keane has extensive trial experience in complex criminal and civil litigation with an emphasis in white collar criminal defense, and commercial and intellectual property litigation. He has recently defended federal criminal and enforcement actions involving allegations of accounting and insider-trading fraud, tax violations, trade-secret theft, Medicare fraud and antitrust violations, and has litigated civil patent-royalty, software-licensing and other commercial disputes. Keane also regularly leads corporate internal investigations, including on accounting, fraud, Foreign Corrupt Practices Act and pharmaceutical-industry matters. Prior to joining Farella, Keane served as an Assistant U.S. Attorney in the U.S. Attorney's Silicon Valley Office in San Jose, where he handled white collar criminal prosecutions. He is a Fellow of the American College of Trial Lawyers and is listed in the 2013 edition of The Best Lawyers in America. Keane is a long-time member of the Criminal Justice Act Panel for the U.S. District Court, Northern District of California. He served as a law clerk in the same court for the now-retired Honorable Eugene F. Lynch. Keane earned his J.D. from the University of California, Hastings College of the Law (1986), where he was editor-in-chief of the Hastings Law Journal.